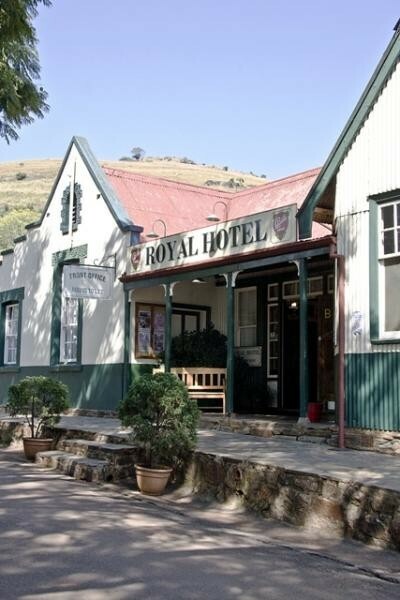 The Royal Hotel - Pilgrim's Rest is situated in this historic and unspoiled gold mining village. 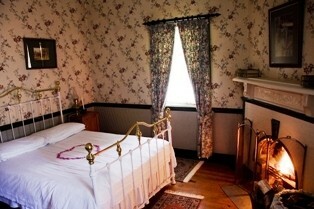 The Royal Hotel, situated in Pilgrim's Rest, was impeccably restored, to reflect true late Victorian style. Composed of ten authentic buildings dating back to the latter part of the nineteenth century, the hotel now offers 50 charming en-suite bedrooms. 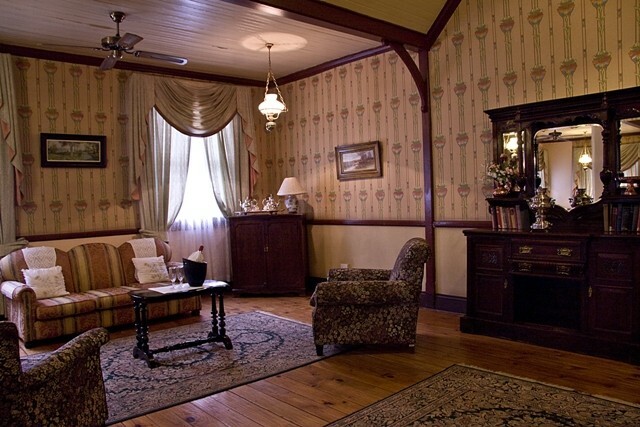 Declared a goldfield in 1873, Pilgrim's Rest became a cosmopolitan centre of activity in South Africa. Today it stands as a legacy to these pioneers. The town was proclaimed a National Monument in 1986. Trapped in a time warp, the lounge reflects an epoch of time honoured hospitality and elegance so typical of the late Victorian era. 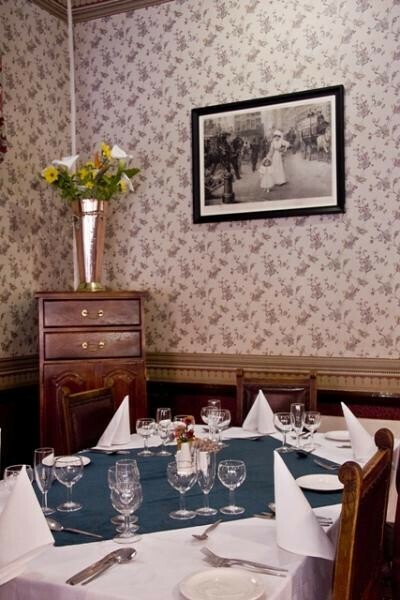 Upon entering the Royal Hotel, visitors are immediately taken on a nostalgia filled trip into the past. 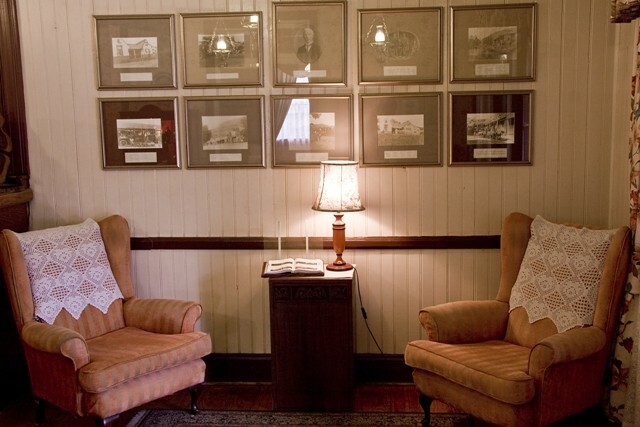 The reception walls are lined with the most interesting photographs and artefacts providing vivid glimpses of Pilgrim's Rest's history. This theme is carried forward into the lounge as well as the very famous Church Bar Fifty en-suite bedrooms are spread over a number of annexes to the Main Hotel and all of them radiate extreme character. Furnished with genuine antique brass beds, wash stands, wardrobes and other furniture, visitors cannot but be transported back into history. 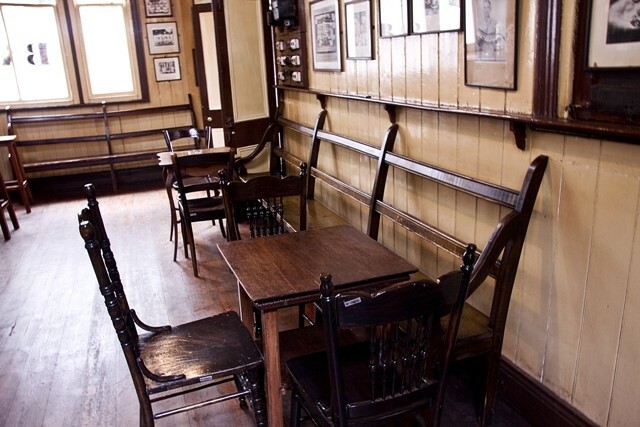 Rounding off this atmosphere are authentic Victorian baths and fixtures. In these surroundings, electric shavers, driers and other equipment will seem out of place.